Measurement includes the seal and lip. Looking for the right bubble mailer? Use our Bubble Mailer Calculator. 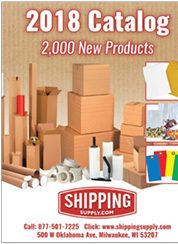 Not sure how to pick the right shipping box? A gusset is a triangle shaped fold on either side of a bag. The gusset is considered the depth of a bag. Zipper bag measurement does not include the zipper and lip. Not sure how to pick the right zipper bag?